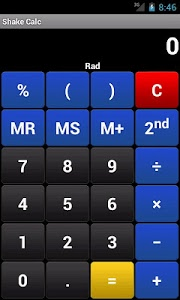 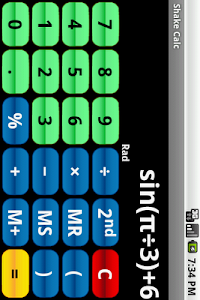 A fully featured scientific calculator with a neat twist. 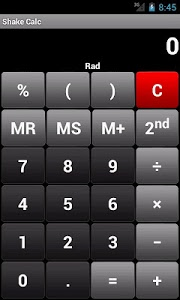 It calculates when you shake your phone. 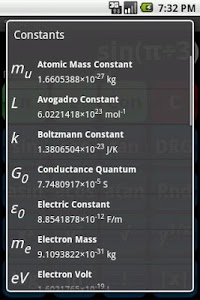 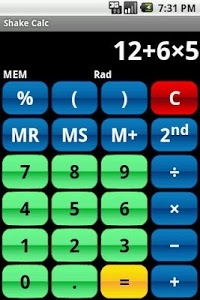 For your everyday calculations it features an easy to use basic view with direct access to all the most used functions. 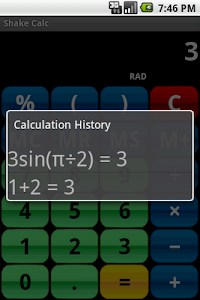 For complex calculations you can switch to an advanced view with a simple swipe of your thumb. 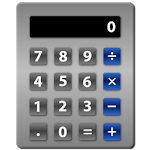 Both views offer large buttons for easy usage on small and large devices.